Caribbean Financial Services Corporation (CFSC) is a limited liability company incorporated in 1984 by a special Act of Parliament in Barbados. 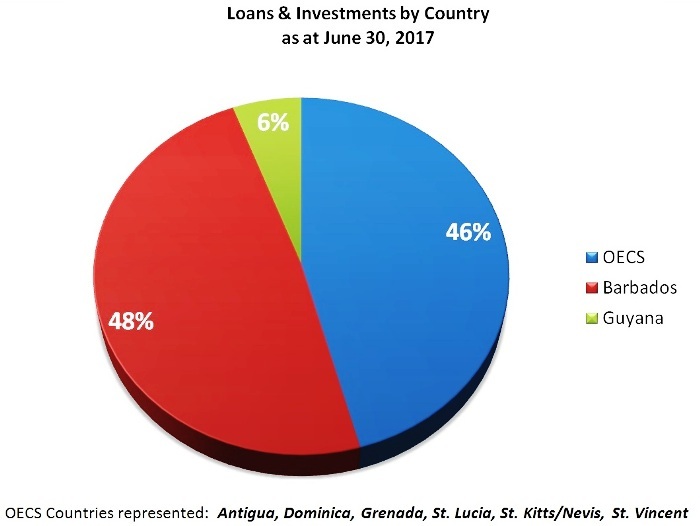 CFSC is located in and operates out of Barbados and provides the English speaking countries in Caricom with developmental finance in the form of medium and long term loans, accompanied where appropriate by equity investments for start-ups and expansions. As a financial intermediary, the Corporation sources funds from local and international institutions and acts as a catalyst in attracting funding from other institutions through co-financing arrangements. 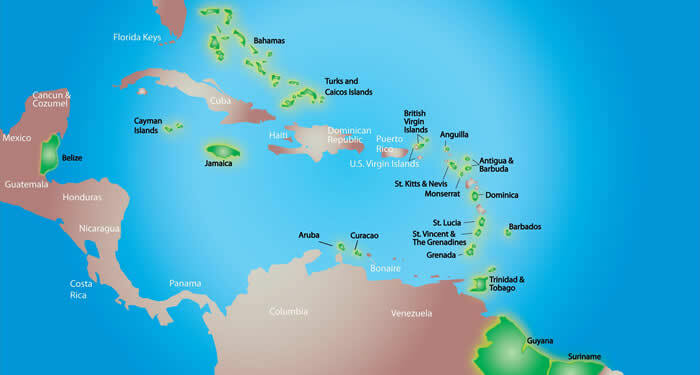 CFSC's core business areas are loan and equity investments to commercially viable, export-oriented, employment generating projects in the private sectors of the Caribbean including the Organisation of Eastern Caribbean States (OECS), Trinidad and Tobago, Guyana, Belize and Barbados. CFSC's clients are generally small and medium sized emerging, start-up and expansion projects that benefit from cash flow lending. 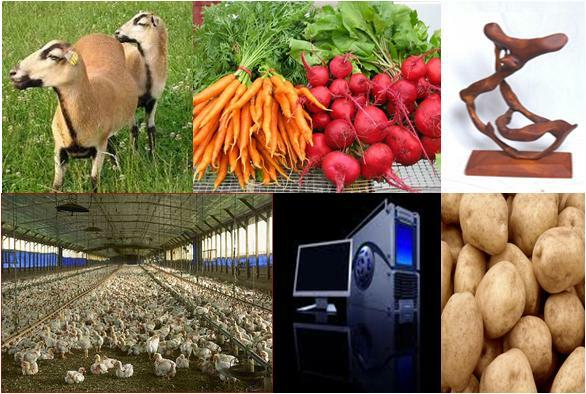 CFSC remains the key regional financing organisation that provides debt and/or equity financing for such businesses. CFSC is also a licensed broker with a seat on the Barbados Stock Exchange. The Corporation offers brokerage services to institutional and retail investors. 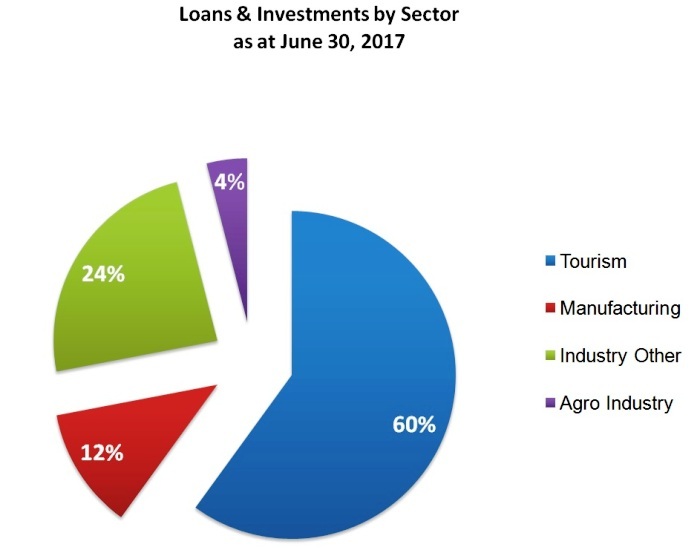 Additionally, since its inception in 1984, the Corporation has acted as an Arranger for syndicates and in the last few years has coordinated securitisations within the region. 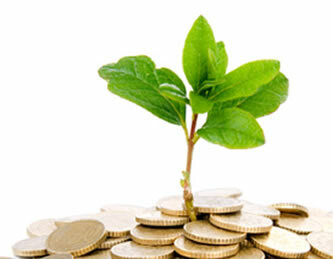 the financial institution of choice for both private and public sector development programmes. "To be the high quality provider of comprehensive financial and advisory services to foster sustainable Caribbean business development while creating value for all stakeholders." Mr. Anthony Maughn was appointed President of CFSC in 2007 with a mandate to provide overall leadership and direction over the Corporation's affairs and to ensure that the strategic goals and objectives implemented by the Board of Directors were undertaken, allowing the Corporation to be productive and maximise its shareholder returns. Prior to his appointment at CFSC, Mr. Maughn worked for twenty (20) years at the Caribbean Development Bank, departing that institution as Chief of the Private Sector Development Division. A former commercial banker, Mr. Maughn has had a diverse career working in various fields including finance, investments and project evaluation and management. Mr. Duncan was appointed to the Board of the Corporation in May 2013. A trained Economist and Accountant, he is the Managing Director of the Grenada Co-operative Bank Ltd, a position he has held for over eight (8) years. Mr. Duncan is also a Fellow CGA. He previously worked in the Grenada Public Service in the areas of public policy analysis, debt management, public finance and public sector investment programmes. Mr. Duncan has held several directorships at various companies which include; the Grenada Postal Corporation, the Caribbean Credit Card Company and the Rotary Club of Grenada. He also served as Chairman of the NIS Investment Committee and is a former Vice-President of the Grenada Bankers Association (GBA). Mr. Duncan is currently the Treasurer of the GBA. Mr. Reeves was initially appointed as a Director of the CFSC Board in May of 2008. In his initial term, he provided valuable contributions until the end of his tenure in 2011. Mr. Reeves was reappointed to the Board in February of 2014 to aid the Corporation in charting its new strategic direction. A former Head of Department of the Central Bank of Barbados, Mr. Reeves has also worked within central banking in Canada and is very experienced in several aspects of the financial services sector. He is a member of the Kiwanis Club of Bridgetown and is a trained mediator and member of ADR (Alternative Dispute Resolution) Association of Barbados, an organization which focuses on mediation of disputes. Ms. Riley-St. John has served on the Board of the Corporation on various occasions for over fifteen (15) years, with her most recent appointment in February of 2014. Ms. Riley-St. John is a well known business management consultant who specializes in the areas of business development, strategic management and investments. She was previously an Investment Manager of the Commonwealth Development Corporation with responsibility for leading all business development activities in Barbados and the Eastern Caribbean. Ms. Riley-St. John holds a BSc. in Mathematics from the University of Western Ontario as well as an Honours Diploma and Masters of Business Administration from the University of the West Indies. Mr. Inniss was appointed as a Director of the Corporation in May 2014. A Quantity Surveyor by profession, he is also well versed in financial management, project procurement, contractual administration and dispute resolution. Mr. Inniss received his BSc. in Quantity Surveying with Honours from the University of Reading, United Kingdom. He is a Fellow of the Royal Institution of Chartered Surveyors (FRICS) and the Chairman of the Barbados Chapter of the Royal Institution of Chartered Surveyors, Americas. Mr. Inniss is the General Manager and Director of a large local general construction firm which has offices in the Eastern Caribbean. He is a member of the Rotary Club of Barbados West and is currently serving as the District Governor for the Rotary District 7030. Mr. Armond Bourne was appointed to the Board of the Corporation in October 2016 to provide additional expertise in the areas of audit, compliance and risk management. Mr. Bourne spent over thirteen (13) years with one of the larger audit firms in Barbados working and later supervising the audits of banking and retail institutions as well as credit unions and educational institutions. He ended his tenure as an Audit Manager. Mr. Bourne holds a BSc. in Accounting as well as an MBA from Oxford Brookes University. He is also a CGA and a Fellow of the Institute of Chartered Accountants of Barbados. 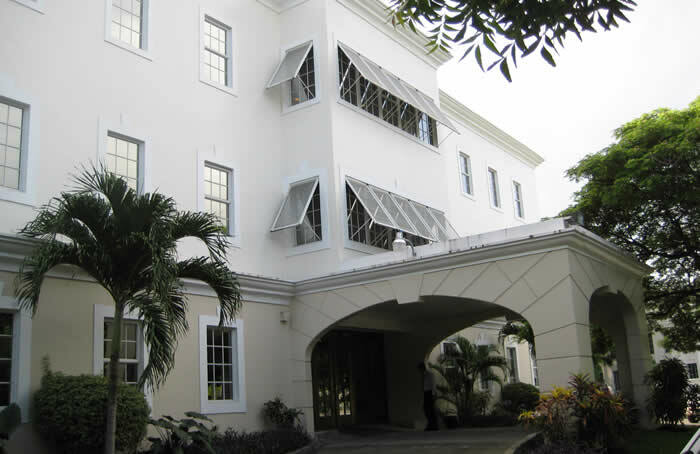 Mr. Bourne is currently a Senior Financial Manager at The University of the West Indies, Cave Hill Campus. Mr. Joseph has worked in a variety of management and project roles in the Information Technology and Telecommunications fields for over twenty-eight (28) years. He is the holder of an MBA from the University of the West Indies and a BSc. from St. Mary University in Nova Scotia, Canada. Mr. Joseph was appointed to Board of Directors in August 2016. He believes in giving back to the community through service and is an active member of his local Rotary club in Antigua. Ms. Reece was appointed as a Director of the Corporation in August 2016 to provide insight to the Board from a legal perspective. Ms. Reece’s expertise as an Attorney-at-Law encompasses the areas of commercial and contract law, corporate governance, personal injury, product liability, estates, property law, employment law, immigration law and debt recoveries and mortgagee actions. After obtaining a Bachelor of Arts degree in Political Science from Concordia University in Montreal, Quebec and a Bachelor of Laws degree from the University of the West Indies, Cave Hill Campus, she obtained her Legal Education Certificate from the Hugh Wooding Law School in Trinidad & Tobago. Ms. Reece was admitted to practice in both Barbados and Trinidad & Tobago and has litigation experience in both jurisdictions. Ms. Reece has over 9 years’ post qualification experience and has honed her skills through her work in distinguished law firms in Barbados and Trinidad & Tobago. CFSC has a broad regional scope in the markets that it serves and has played a significant role in stimulating and developing sectors through investment in small and medium sized businesses throughout the Caribbean.